India is one of the largest and most attractive renewable energy market globally. Several factors contribute to India’s leading position such as – world’s largest renewable energy expansion plan, world’s fourth largest installed capacity for wind & sixth largest for solar, and commitment to pursue economic growth that relies on clean sources of energy and sustainable development as an early entrant to the Paris Climate Accord. With over 1000 GW potential for solar and wind energy, India has been pushing to set up infrastructure and provide incentives to foster these industries. In a landmark move, India’s Ministry of New and Renewable Energy (MNRE) has released the National Wind-Solar Hybrid Policy to promote and incentivise wind-solar hybrid projects in India. The main objective of the policy is to promote large grid connected wind-solar hybrid system. Hybrid projects encourage optimal and efficient utilization of transmission infrastructure & land, reduce the variability in renewable power generation and achieve better grid stability. This policy aims at encouraging new technologies, methods and way-outs involving combined operation of wind and solar energy. Promotes both new hybrid projects as well as hybridisation of existing wind/solar projects. The power procured from the hybrid project may be used for fulfilment of solar Renewable Purchase Obligation (RPO) and non-solar RPO. 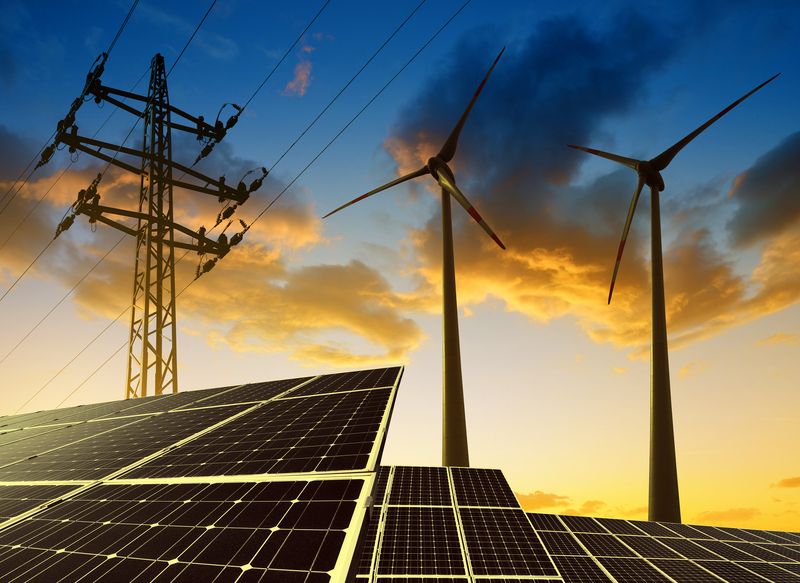 No additional connectivity or transmission capacity charges will be levied by the respective transmission entity for the hybridization at existing wind or solar projects. Battery storage can be added to the hybrid project to reduce the variability of output power from wind solar hybrid plant; and ensure availability of firm power for a period. This year, the hybrid space had already started seeing significant traction. In January 2018, Solar Energy Corporation of India (SECI) has invited expressions of interest (EoI) from engineering, procurement and construction contractors to develop a 160 MW large-scale solar wind hybrid project with an energy storage system in Andhra Pradesh, India. With a strong commitment to develop the hybrid sector, SECI applied for $ 200 mn in funding from the International Bank for Reconstruction and Development and the Clean Technology Fund for the cost of innovation and project development. In April 2018, Hero Future Energies commissioned India’s first large-scale hybrid project in Karnataka, adding 28.8 MW of solar energy to an existing 50 MW wind farm. The policy envisages to supplement this interest and offer benefits to support this field. MNRE plans to augment the policy by releasing over 2 GW capacity tenders for hybrid projects – opening yet another untapped investment opportunity in the Indian renewable energy sector.